Barnet UNISON have been informed that ISS nationally are changing their Payroll process. This change impacts on all ISS workers not just here in Barnet. We raised immediate concerns about the hardship this would place on low paid workers. We were told that loans are being offered with a repayment plan spread of four equal payments. Barnet UNISON have asked that the option for repayments to be spread over a longer period of time. Barnet UNISON have sought confirmation that staff are not paying any interest on the loan. Barnet UNISON announced last week that our members in Grounds Maintenance had been told they would no longer providing services to a number of War Memorials and Churchyards in Barnet. Once the story broke it seems there has been a ‘change of heart’. Today, Barnet UNISON have had confirmation that normal services will resume for all of 2019/20. A big thank you to all who publicly spoke out against the cut it appears to have been helpful. To those who believe this story was untrue, be careful. Barnet UNISON had very concrete evidence of the cessation of the services. Look at the line E6 on this chart and you may start to understand why disabled activists are going to get extremely angry. Barnet UNISON will support community activists and workers fighting to keep the standards high for people with disabilities. For a number of years local authorities, including Barnet, have been trying to get people with disabilities out of residential care homes and into a variety of supported living settings. Along the way there have been a number of arguments about whether this is a cost saving exercise (it was always approved if it did save costs) and about whether the quality of support could match that in residential care homes. Residential care homes always struggled to match their residents’ aspirations to live a “normal life” – to make the kind of choices most of us take for granted, such as when to pop out for a social visit. They now often struggle to match the aspiration of providing quality basic care. This is the background against which Barnet and other local authorities are looking to save money again, but this time by seeing who they can “persuade” or “encourage” to move into a residential care home. Whichever way it’s looked at, this is about cutting costs and forcing people with disabilities to manage with less, which will limit their aspirations in a way which is wholly unacceptable for the rest of the population. If there is money to keep ploughing into the pockets of Capita, to keep an extensive and expensive senior officer group running, then there has to be money available to continue offering residents of Barnet a degree of choice and control over how they are supported. Remember – people with disabilities are any one of us. 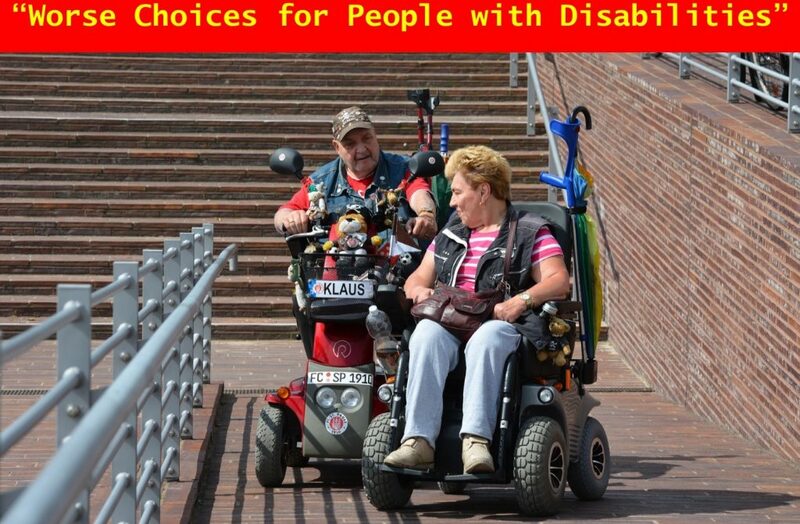 Most disabled people were not born so, they acquired their disability in later years. What would we choose for ourselves or our parents or our children? This is why we will show solidarity with those campaigning for quality services and defend those providing quality services. “When I saw the headlines my heart sank. Comrades started contacting me on social media to get our reaction to the very scary proposal outline in the Budget Cuts report which was agreed at Barnet Council meeting on 5 March 2019. I am not surprised this attack on people with disabilities is a direct consequence of the decision of the Council to keep funding the two big Capita contracts. Barnet was contracted to pay Capita £252.2 million by this time however with all the extras they have in fact paid Capita £386.71 that is an extra £134.17 million of taxpayers money. Our branch will be doing our utmost to work with our community to ensure no one is forced into residential care it’s the least we can do. John Burgess, Barnet UNISON Branch Secretary, Barnet UNISON. I am writing to all of you on behalf of all of my members who are part of the Local Government Pension Scheme (LGPS). I am writing to all of you for help. The latest debacle with the failing Pension Administration run by Capita should have been the final straw. The failings have been well documented in Barnet Council Committee meetings over the last four years. The problems are not going away. Some do then others rear their head. The service is out of control. Have you not noticed a pattern? Capita are always contrite and happy to agree to action plan after action plan. But year on year, another damning report or comment emerges from either internal or external audit and now the risk to the Triannual Valuation of our Pension Scheme. 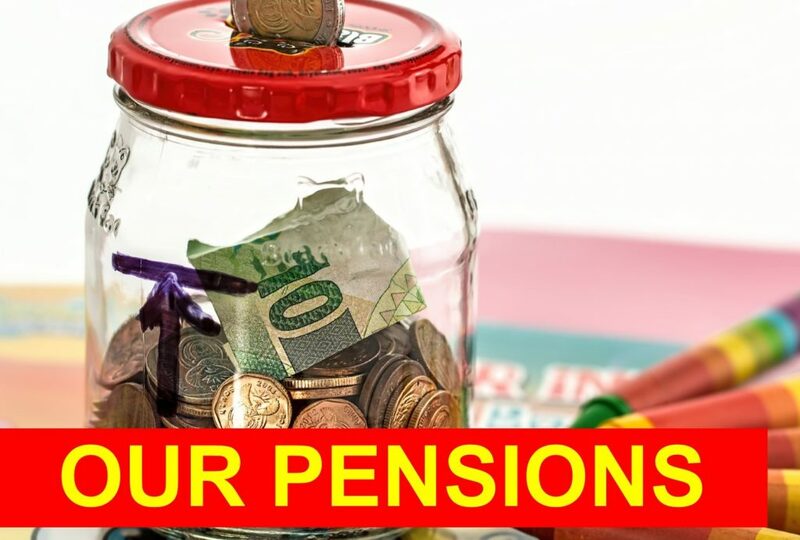 The Chair of the Local Pensions Board has gone on record in their Committee meeting and recently at the Pension Fund Committee on 25 March 2019 to say the Pensions Administration service is “appalling”. Now the Actuaries have joined the ever growing numbers of concerned people who are warning Barnet Council of the serious risks of a failing Pension Administration service. The Actuaries warned the Council three years ago. 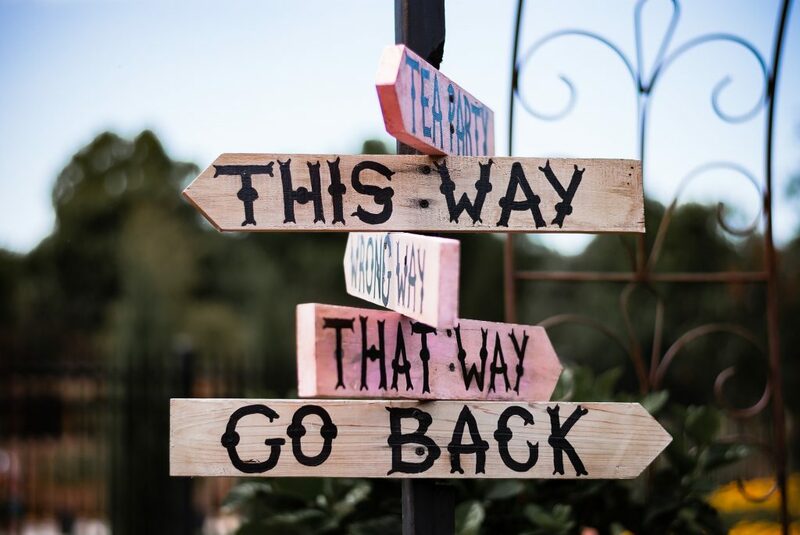 Yet here on the eve of the deadline for the Pensions Regulator (31 March 2019) the serious critically flawed pension data issue has not gone away. I have listened to the recent Pension Fund Committee (26 March 2019). I did appear to me that the scale of the risk was reflected in the discussions. I note with concern a quote below from Dan Taylor, director at third-party administrator Trafalgar House. Barnet Council has recently agreed at the Budget Council meeting on 5 March 2019, a Five Year Budget cuts programme, looking to make £70 million of cuts by 2024. I find it inconceivable that Councillors would not be concerned that as a result of serious failing Pension Administration the Council and other employers would have to contribute more money to the LGPS. Money that should be spend on vital public services. Yet our active members are still experiencing problems. I am sure all Councillors will have a work or private Pension. You will all expect that when it is your time to take your pension it should be a stress free experience. I have to say that is not the experience in Barnet. The ongoing issues mean that until our members have had their Pension checked by UNISON and it is paid correctly into their bank the stress levels for those retiring are extraordinary high. Contrary to some comments I have heard councillors make at Committee, we simply did not have these problems with the in-house Pension Administration Team. It is a matter of fact not opinion. I know many believe that Barnet Council will not end this contract because it would be seen as a major climb down and an admission that the One Barnet Programme has failed. That is possibly true. However I know there are still quite a few Councillors who were deeply involved in the One Barnet programme. Whilst I and my union disagreed with Barnet Council on One Barnet I do not believe that those voting for One Barnet would have envisaged this happening to the Pension Administration service. No amount of action plans will restore the service to the level of excellence it was operating before it was privatised in 2013. Finally, I am not allowed to address most of the Committees but if I did I would ask Barnet Council “Why are you defending the indefensible?”. Barnet Council needs to instruct senior officers to terminate the Capita contract for Pension Administration and begin the process of bringing the service back in-house before there is further damage to the service and the reputation of the Council. No, this is not an April Fools joke it is for real. To the best of our knowledge this decision has not been subject to any public consultation the sites affected are as follows. St Marys Church Yard /Church End. 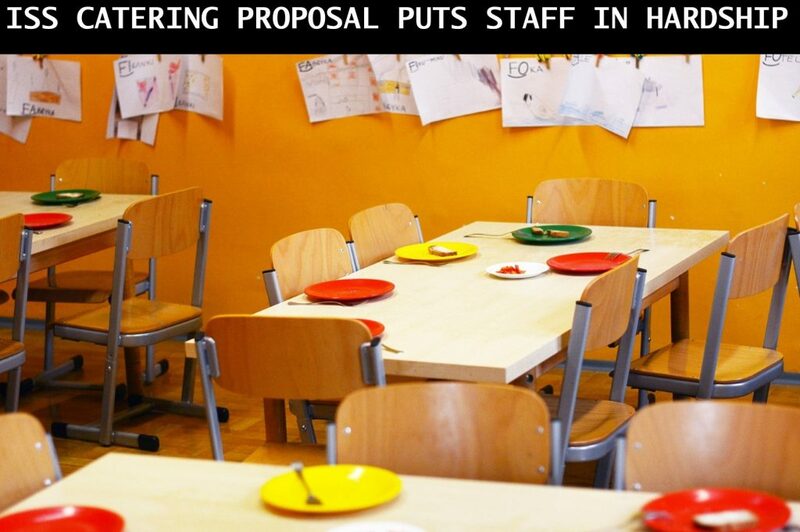 Which Council department proposed the termination of the services? When did the public consultation take place for this proposal? Where was this saving identified in the recently agreed Councils Medium Term Financial Strategy 5 March 2019? Are there any Health and Safety risks as a result of the termination of this service? Our Pensions: What on earth is going on? On Tuesday 26 March 2019, members of the Pension Fund Committee will discuss the latest debacle about the Pensions data. I have sat in numerous Barnet Council meetings over the past few years reading and listening to senior officers and councillors discussing the failing Pension Administration Service currently provided by Capita out of their Darlington office. The Triannual valuation of the Pension Fund is being placed at risk due to ongoing systemic Pension data errors. The Employer may have to increase their contributions which will mean there is less money to spend on services. This could lead to some services reducing or stopping altogether. Less money to invest and resulting in the Pension pot reducing. Last week Barnet Council published Pension Fund Committee reports for the meeting on 26 March 2019. The shocking news was that the critical errors had not been addressed and now the Triannual Valuation of our Pension Fund is now at risk. “1.3 The quality of membership data is central to the valuation process. Should the quality of data not be to the standard required by Hymans Robertson then there could be delays to the valuation process. Also, inaccurate member data held could result in erroneous benefit statements being issued. What is worrying is the pattern of behaviour. The issue of data quality is not new. It was raised two years ago. 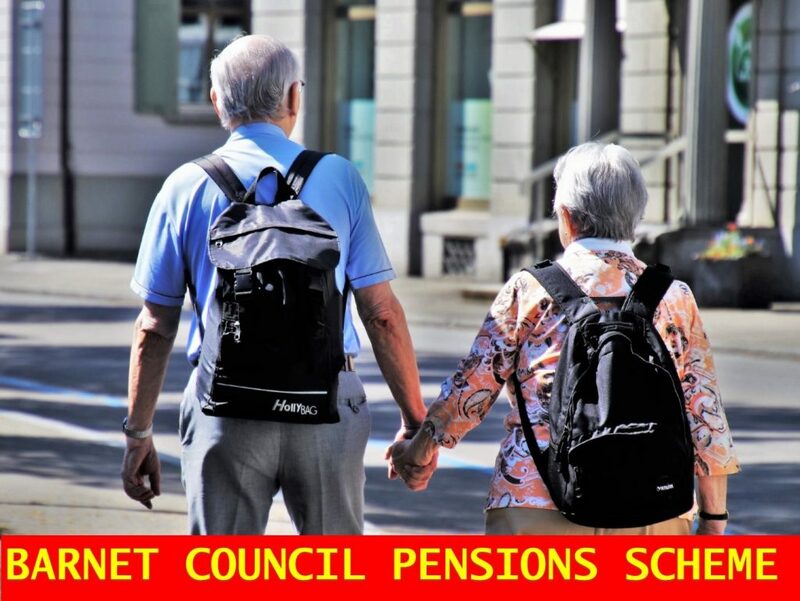 The Pension Scheme is one of the most important Terms and Conditions for Barnet Council staff yet since the outsourcing of the service it has been beset with issues. Barnet UNISON believes that the repeated failures of the Pension Administration service which now threatens in-house services must be brought back in-house along with Payroll in order to restore confidence and assurance both for members of the scheme and employers. Barnet Council are currently reviewing both Capita contracts. The Pension Administration service is in Phase Four which is 18 months away. The service can’t wait that long it needs to come back in-house now. No, it is not an April Fool, Capita staff are coming back in-house! On Monday 1 April 2019 Capita staff working in Strategic Human Resources (HR) and Finance services will return back in-house. This follows a decision made at Policy and Resources Committee 11 December 2019 to start a review of which services should be brought back in-house. Finance and HR were identified in Phase One to return back in-house. Below are the details of the other Phases and the service included. Phase Four: Customer services, Information Services (IT), Planning (development management and enforcement), Regulatory services, Transactional HR services (including Payroll and Pensions Administration), Any other remaining services. Barnet UNISON has demanded that all of the above services are brought back in-house citing Southampton, Blackburn and Darwen, Sheffield and Birmingham Councils who in 2018 all made decisions to bring back services from Capita.